We are getting a little whimsical for this week’s marry, date or dump. I had a hard time coming up with people, so instead I’m giving you three fictional bears to choose from. So let me know in the comments who you would marry, who you would date, and who you would dump when it comes to Paddington Bear, Corduroy Bear, and Winnie the Pooh. Also feel free to let me know if you think I’ve gone completely crazy. I can’t wait to see which bears you choose! This entry was posted in Marry Date or Dump and tagged Bears, books, Corduroy, Paddington Bear, Winnie-the-Pooh by Alison Doherty. Bookmark the permalink. Marry Paddington – he has an adventurous spirit, Date Pooh –he is loveable if a little limited, Dump Corduroy – he is to obsessed with buttons. Haha you are cracking me up. Just think of all the marmalade you could eat with Paddington. 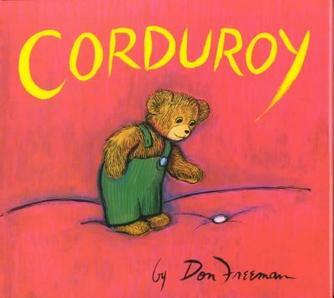 I loved Corduroy too. I totally agree with you about Pooh. He only has one true love: honey. I also think I’d get jealous of his close friendship with Piglet. I love all three so I would keep them all as friends, as each of them are lovely in their own way. I have wonderful memories of them all–having read their books to both of my boys. They hold a special place in my heart–I could not imagine dumping or marrying any of them! And no, I do not think you are crazy–I love this one! I’m glad people are getting into it. That is so sweet about reading them to your boys. My mother read all three of their books to me. 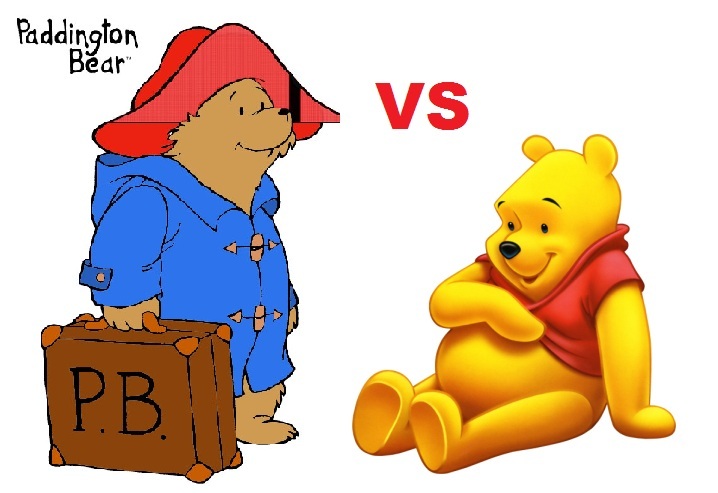 As for the others, I never actually was read Paddington Bear, so it’s between an unknown British traveler, who would probably be my human preference, or Corduroy. I am fond of Corduroy, but have a very difficult time thinking of him as a date, so I’ll stick to the traveler. Wow. Really fantastic response. You are 100% right that I am thinking of Disney Winnie the Pooh. I haven’t read the books since I was a child, but you have definitely inspired me to give them another look when I get home. What more husbandly spirit could one want? Oh, this is adorable!!! I would have to at least date all three since they’re so lovable. Pooh is very sweet and whimsical. He’d be great on rainy days, as would Paddington. Yay! I’m glad you liked this week’s options. I’m sorry, I’d simply have to move to India and join that tribe where 1 woman has 3 husbands. They are all too loveable to choose! I’m all for polygamy when it comes to Marry, Date or Dump. We’re supposed to be able to “have it all” right?